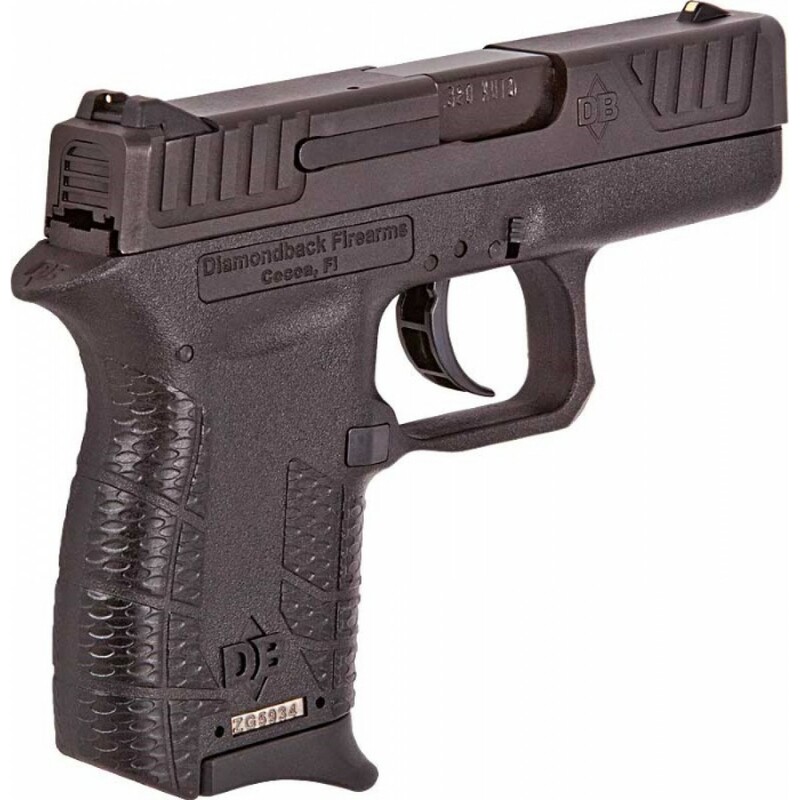 Diamondback Firearms is proud to present the DB380. 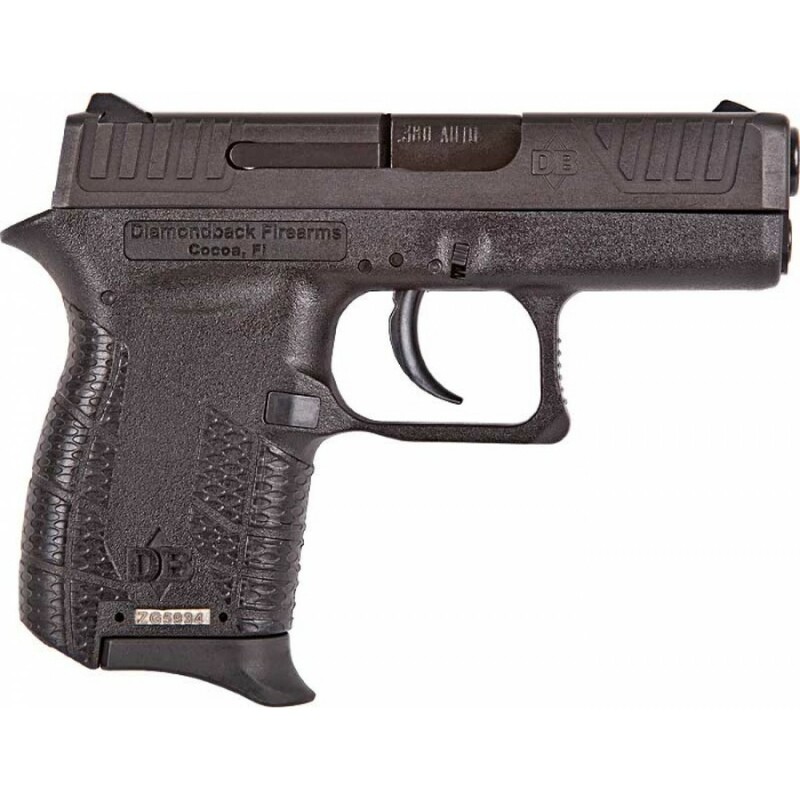 A micro-compact .380 automatic pistol made entirely in the USA. 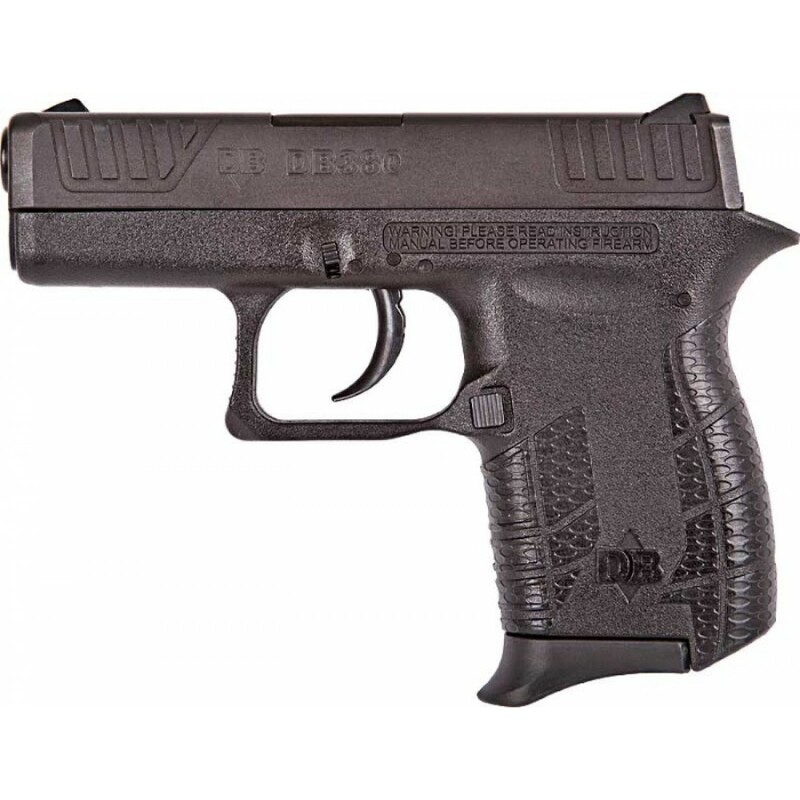 Designed with safety in mind, the DB380 features a "ZERO-Energy" striker firing system with a mechanical firing pin block, a steel magazine catch to secure a sheet metal magazine and real windage-adjustable sights, all in a lightweight pistol. A steel trigger with dual connecting bars allows for a crisp smooth, trigger pull. 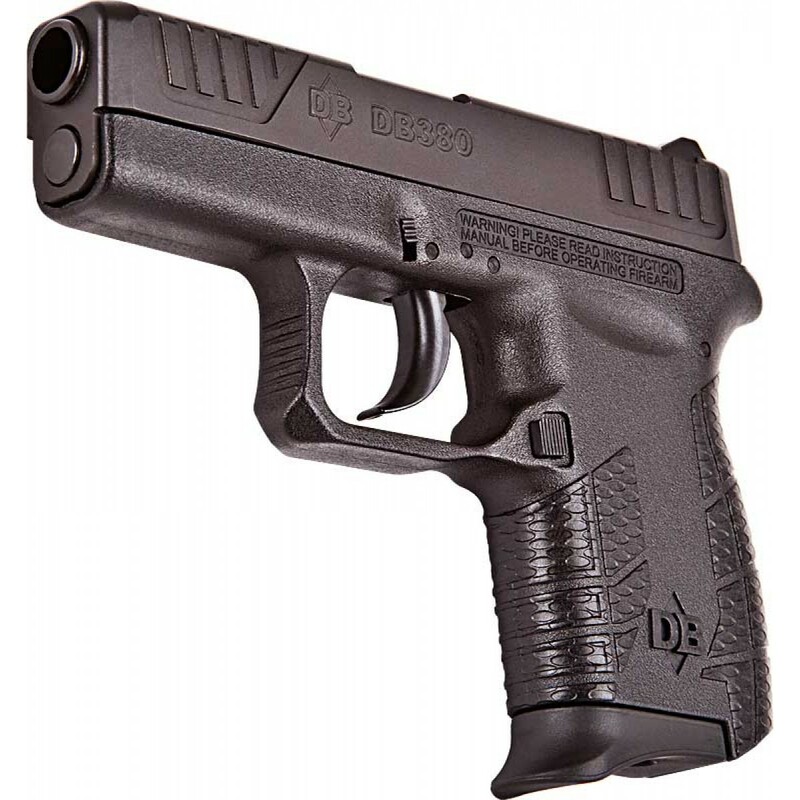 The DB380 features a FEA (Finite Element Analysis) designed slide and barrel that is stronger than any comparable firearm, resulting in durability with less felt recoil, and the absence of removable pins or tools makes field stripping easier than ever. The slide, barrel, and internal parts are coated to resist corrosion, making this pistol a lifetime investment. Is this handgun legal in your state? It is your responsibility to know your State and Local handgun laws. No Refunds Will Be Given On Any Handgun That Is Not Transferable. There are no returns on firearms. Warranty Issues Are Handled By The Manufacturer.